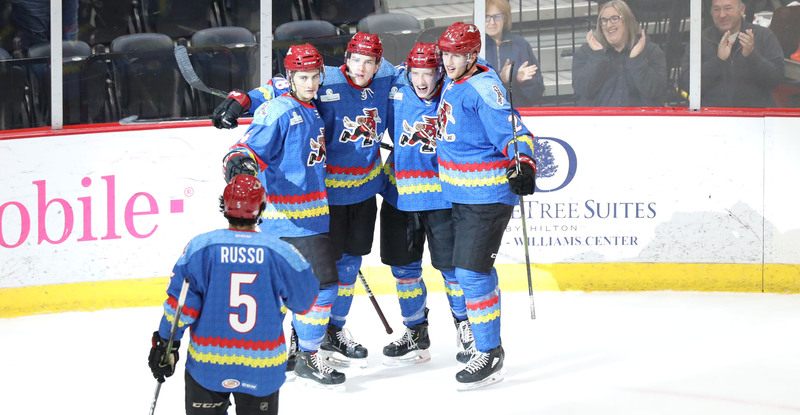 The Roadrunners continued their push toward the postseason with a convincing 5-2 victory over the Colorado Eagles Saturday night at Tucson Arena. With the win, Tucson, at 70 points, is now just three points out of a playoff spot in the Pacific Division with two games in hand on the fourth-place Eagles (73) and one game in hand on the third place San Diego Gulls (73). Tucson has earned points in seven of its last eight games, going 6-1-0-1 during that stretch. Mermis, with two assists, set a new career-high in points, now with 20 on the year. Hudson Fasching, who had a monster night himself (1G, 2A), set a new career-high in points as well, now with 31 on the campaign. Tyler Steenbergen struck for the game’s opening goal less than three minutes in when he retrieved possession of a Colorado turnover and beat Pavel Francouz with a wrist shot high to the blocker side, giving the Roadrunners a 1-0 lead. With just over five minutes left to play in the first, Brayden Burke buried from point-blank range, shoveling a Fasching pass into the back of the net to give the Roadrunners a 2-0 lead. Colorado got on the board with 3:46 remaining in the first making the score 2-1. To begin the second, Jeremy Gregoire netted a shorthanded goal as he skated into a pass from Michael Chaput to walk in alone and deposit to the top shelf, giving the Roadrunners a 3-1 lead with 18:21 remaining in the middle frame. Colorado would once again get to within a goal 9:29 left in the second. In the final stages of the second, while set up in front of Colorado’s net during a power play, Fasching received a pass from Burke and buried to give the Roadrunners a 4-2 lead heading into the third. Fasching would strike yet again in the opening minutes of the final frame, and again from in front of the net during a power play, tracking and turning to shovel home a rebound from a Mermis shot to give the Roadrunners a commanding 5-2 lead, the night’s eventual final score. Adin Hill stopped 27 of the 29 shots he faced to earn his 14th win of the season and the 50th of his AHL career. 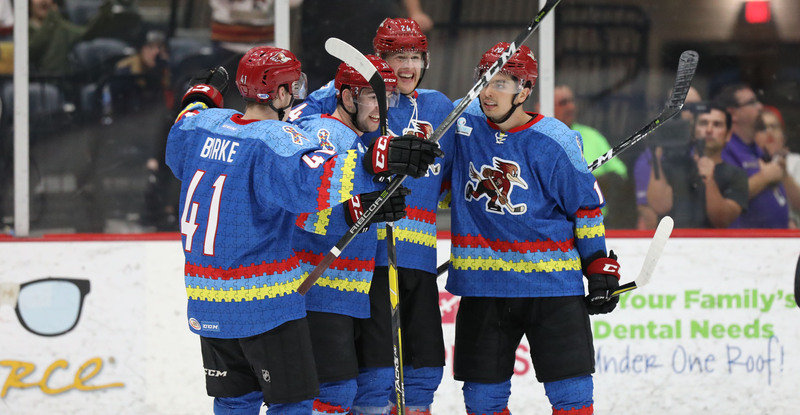 The Roadrunners will begin a four-game road trip Tuesday night against the Iowa Wild at Wells Fargo Arena, where the puck is scheduled to drop just after 5:00 PM PST.